Enter this newly renovated, spacious colonial just blocks from Wolf Trap Stream Valley Park and Performing Arts Center. 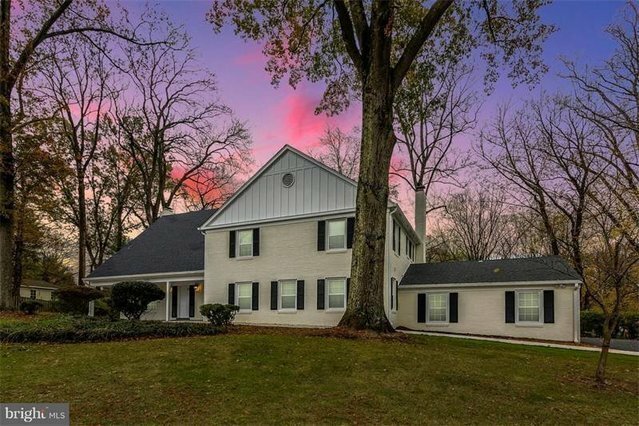 Surrounded by mature trees, you'll want to watch every sunrise on the back patio that spans the entire width of the home.The decor is contemporary, with hardwood floors, a chair rail in the dining room, and fireplaces in the living room and family room. The kitchen will wow you, with black granite countertops, a large island with cabinets, a grey brick backsplash, and pendant lights. White cabinets and stainless steel appliances complete the classy urban look.Other highlights of the main level include a mud room from the garage, separate laundry room, and a guest suite with its own full bathroom.The lower level is a 1,049 sq ft recreation room with access to a covered patio.Upstairs are five bedrooms with hardwood floors, two full baths, and a hookup for a washer/dryer. The owner's suite has two custom, walk-in closets, double sinks and shower heads, and access to two attics for storage.Take the opportunity to make this beautiful home your own.